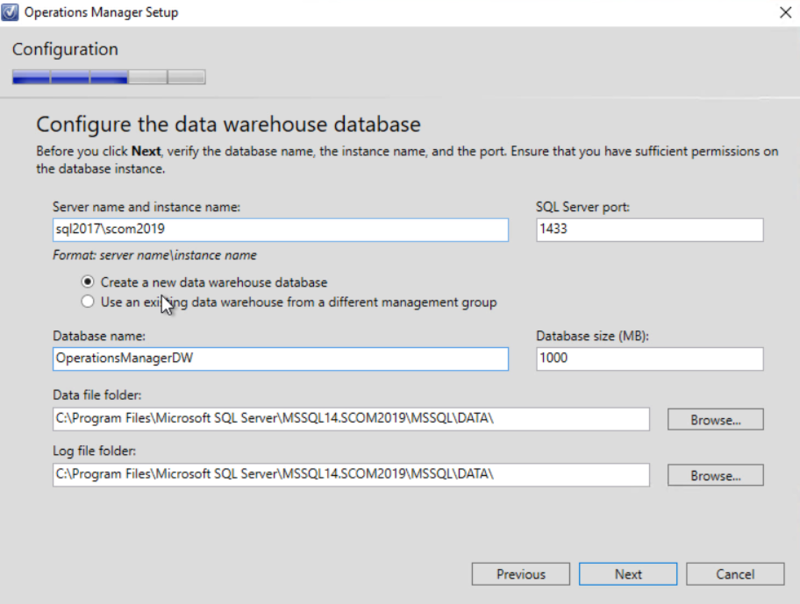 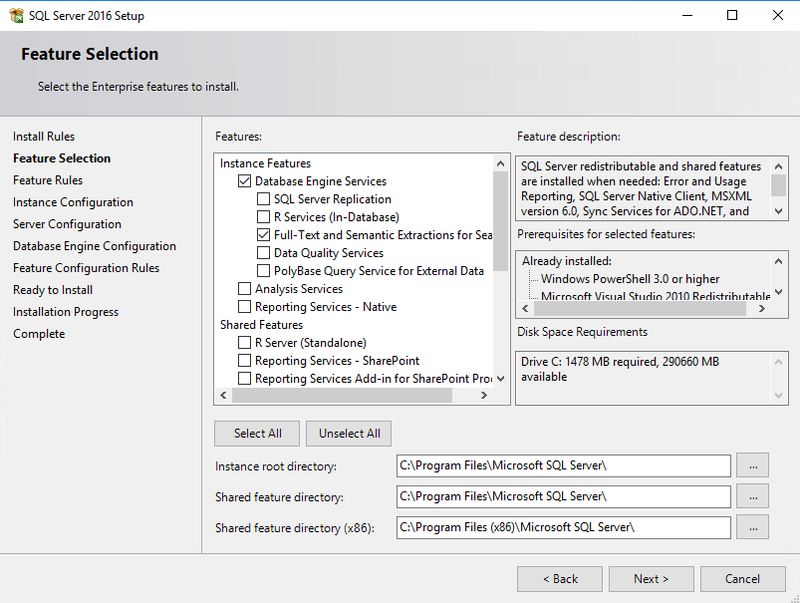 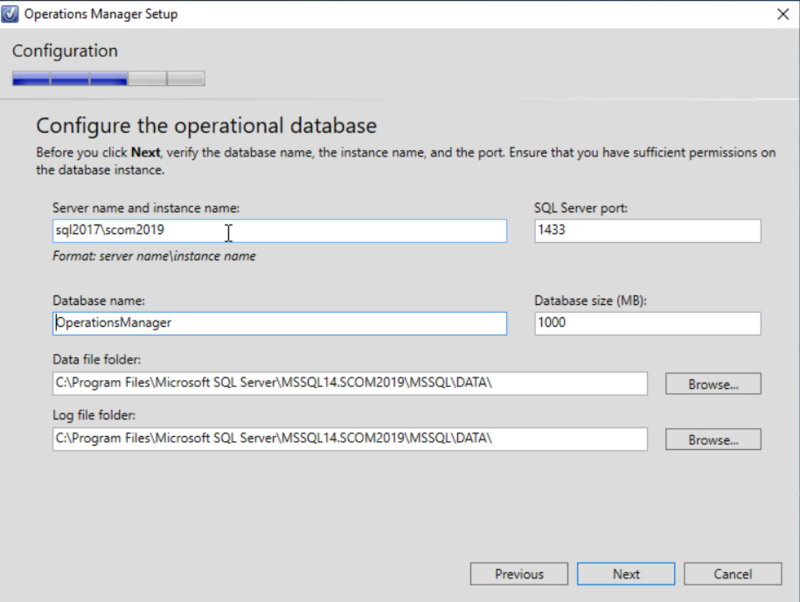 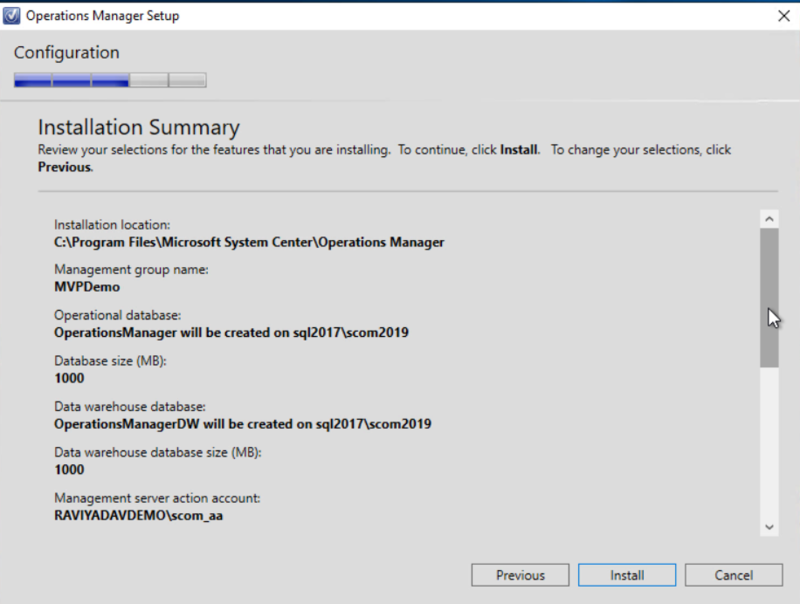 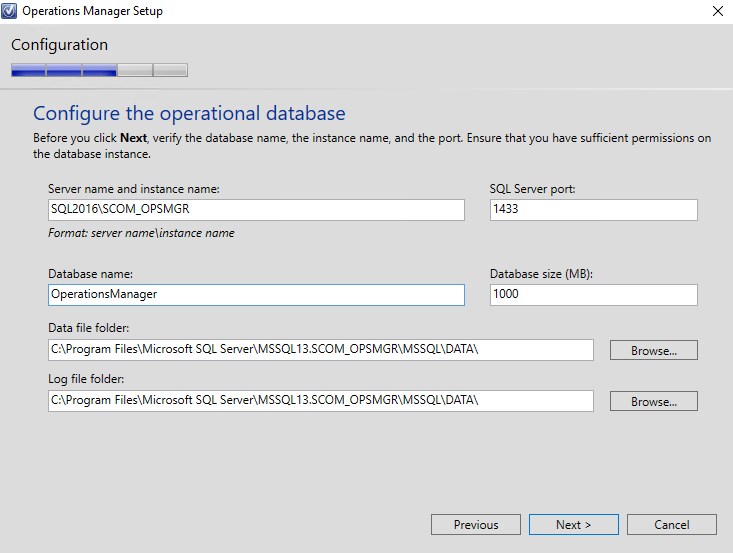 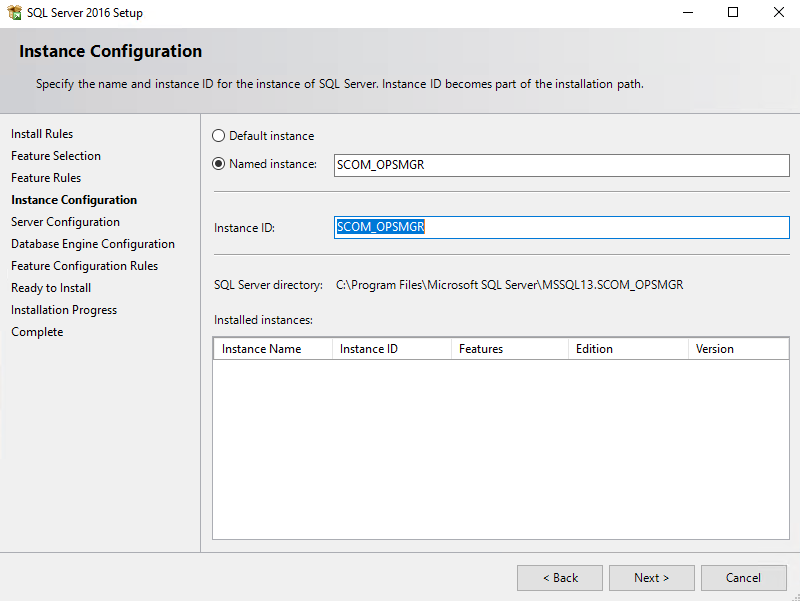 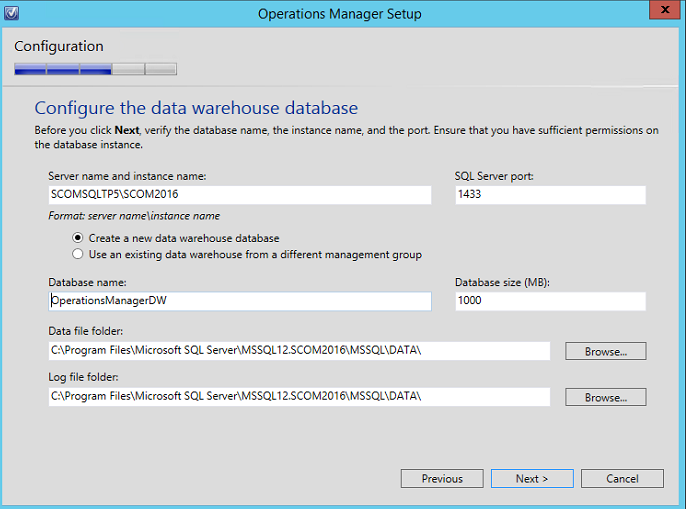 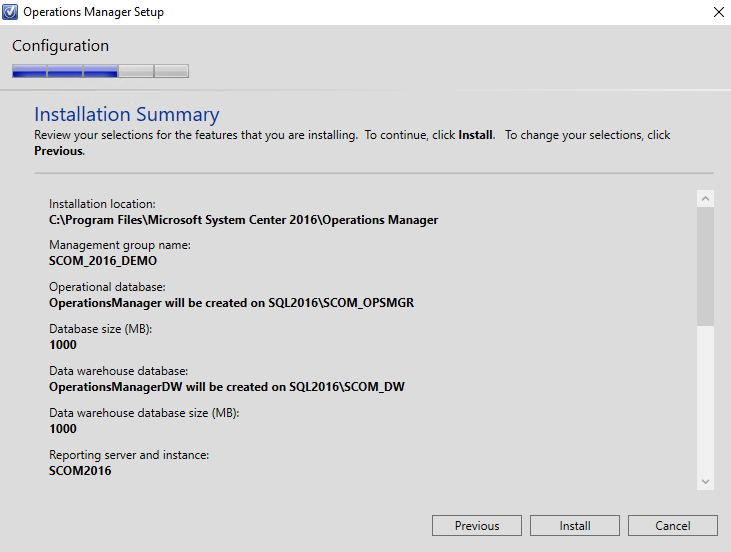 Some prerequisites and things to know… In my environment I am using SCOM 2016 (Technical Preview 5 (TP5)) and SQL 2014 SP1 running on Windows Server 2012 R2. 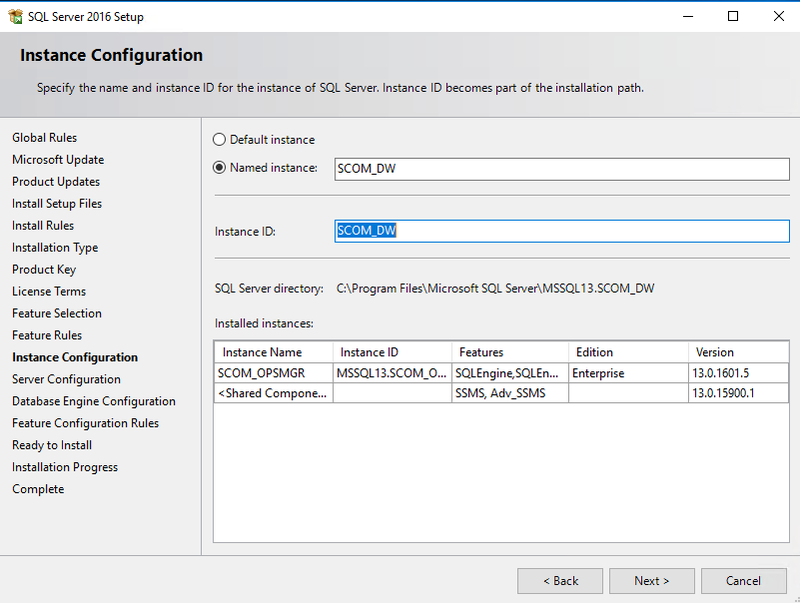 On this local server (I am installing this on my SCOM SQL server) I have already deployed a default (not named) SQL instance, with Reporting Services (SSRS) installed (and already configured). 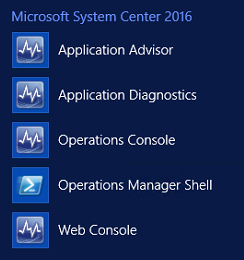 If you run into issues here, please let me know. 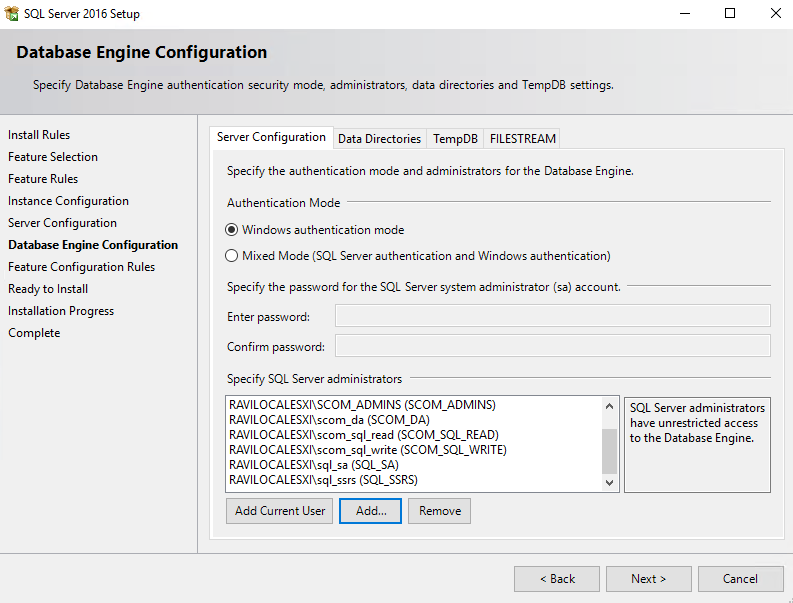 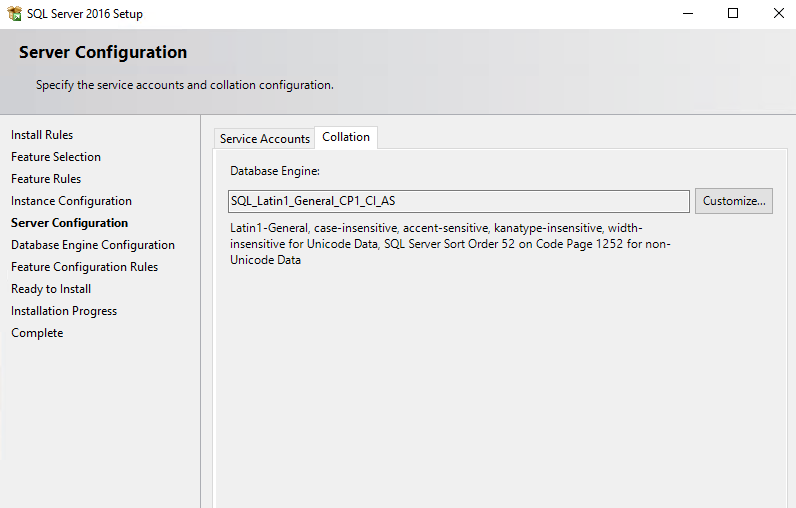 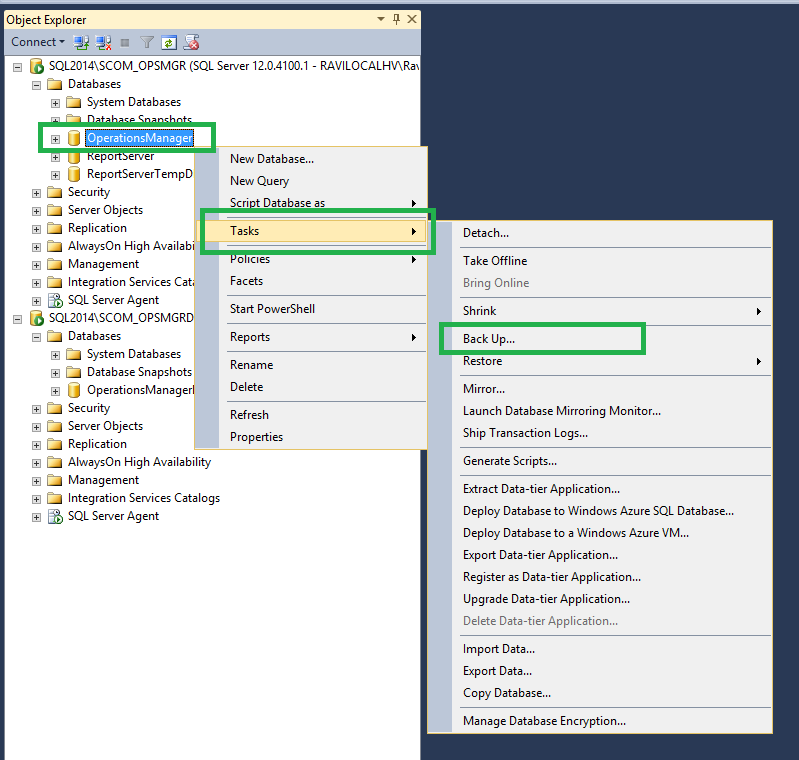 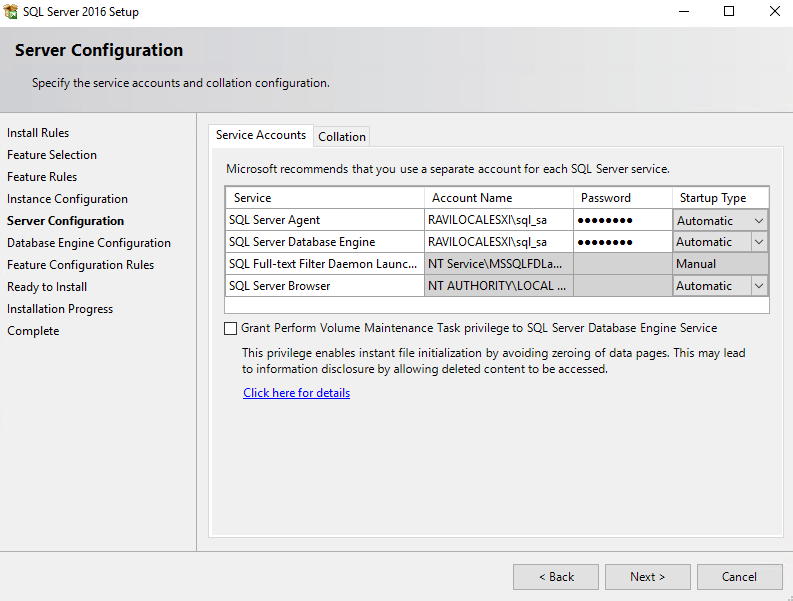 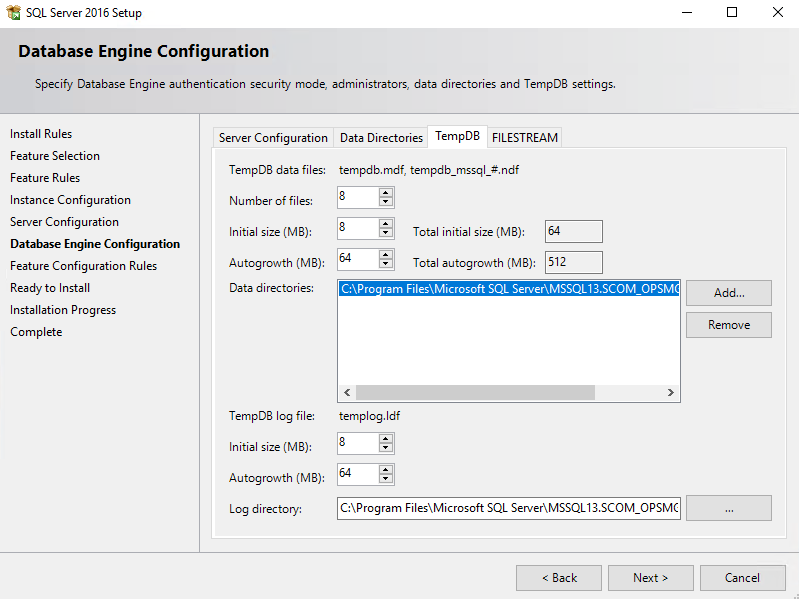 On your local server, ensure your SQL service account and SQL SSRS account have local administrative rights on the server. 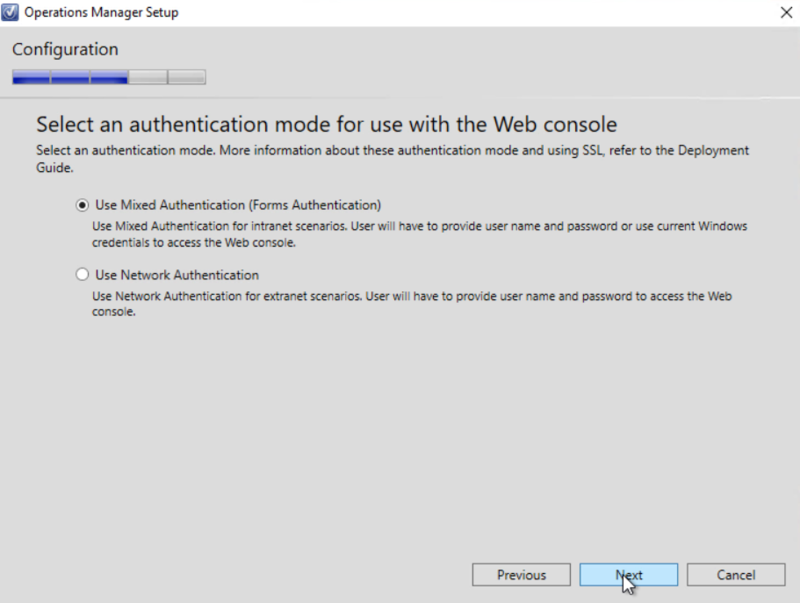 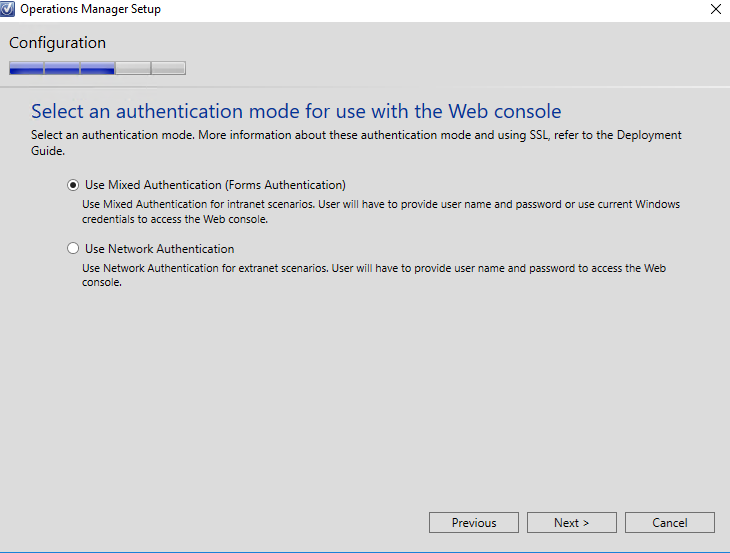 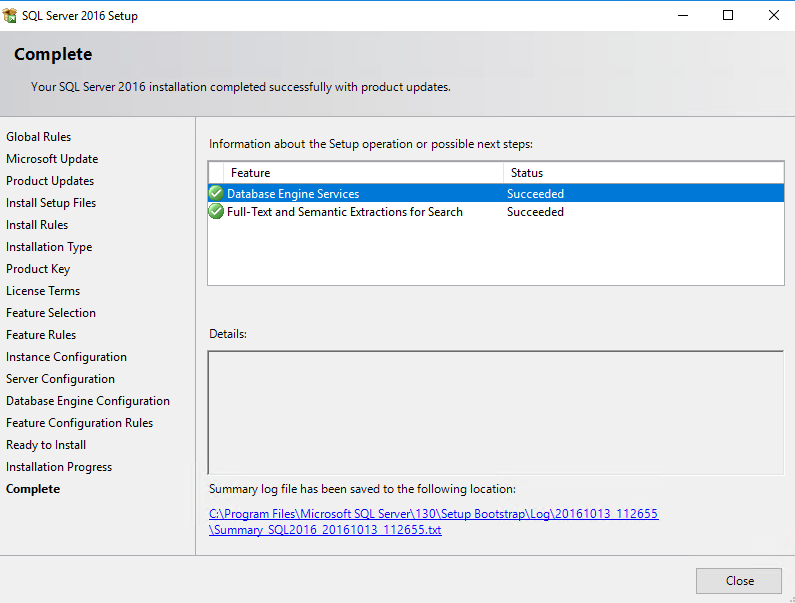 Launch the SCOM 2016 installer and run as the SCOM SDK (Data Access) account. 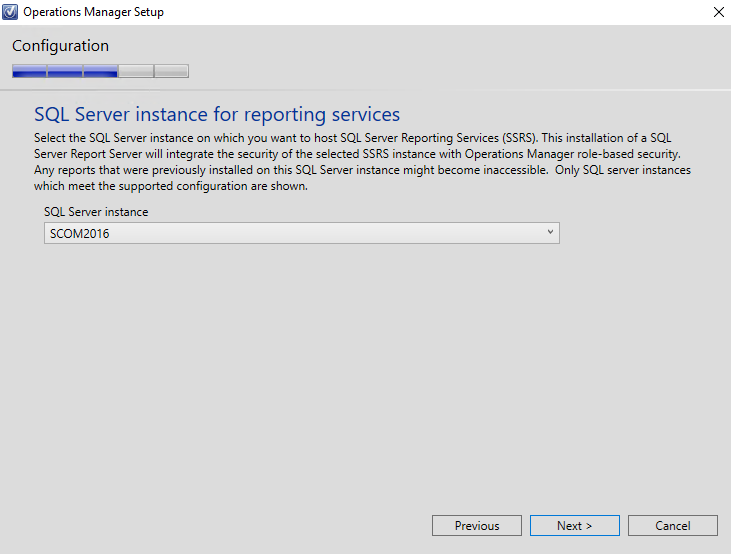 You should now have the Reporting function within you SCOM 2016 console. 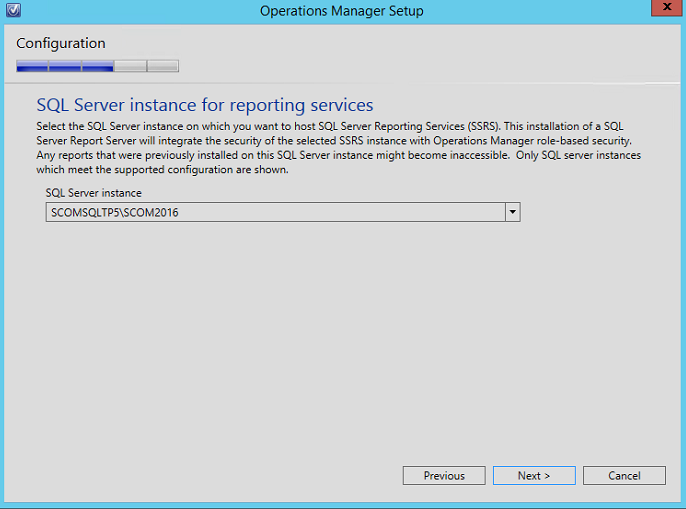 Happy (SCOM) reporting! 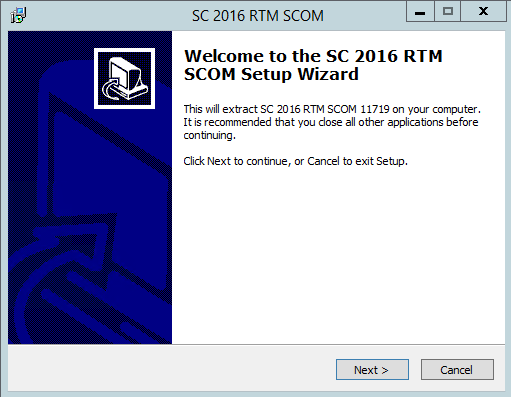 IF YOU ARE LOOKING FOR INSTALLING SCOM 2016 [RTM] ON WINDOWS SERVER 2016 WITH SQL SERVER 2016, GO HERE. 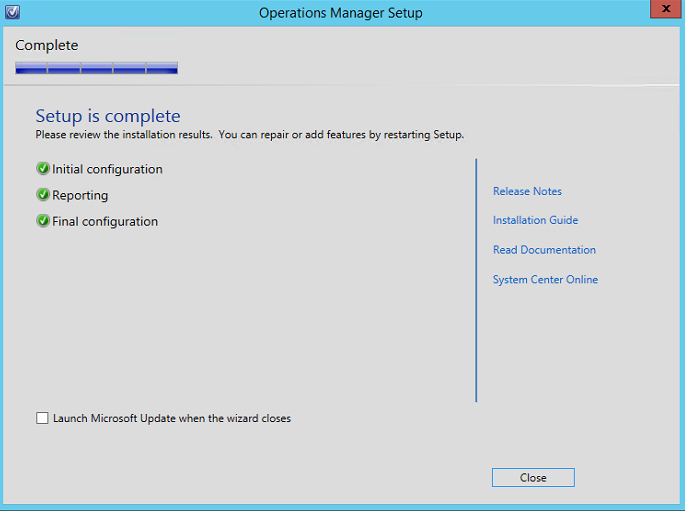 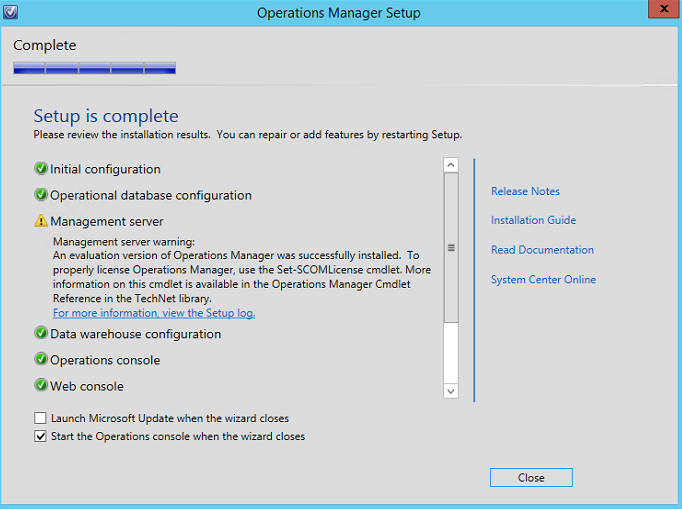 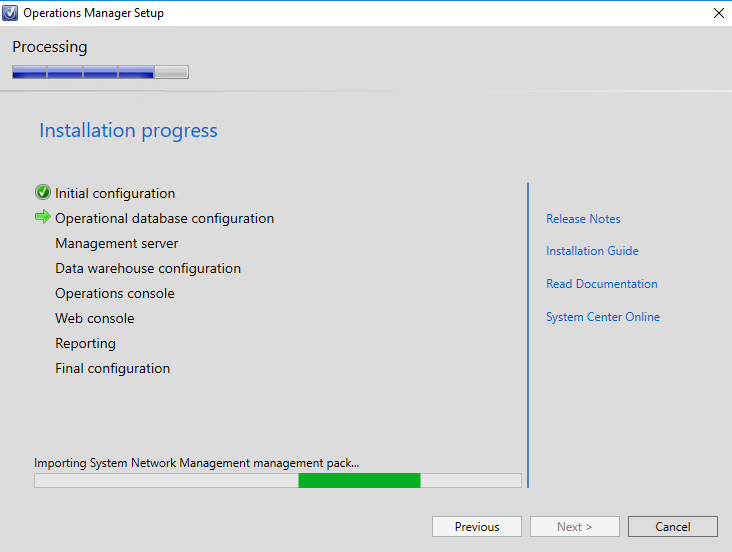 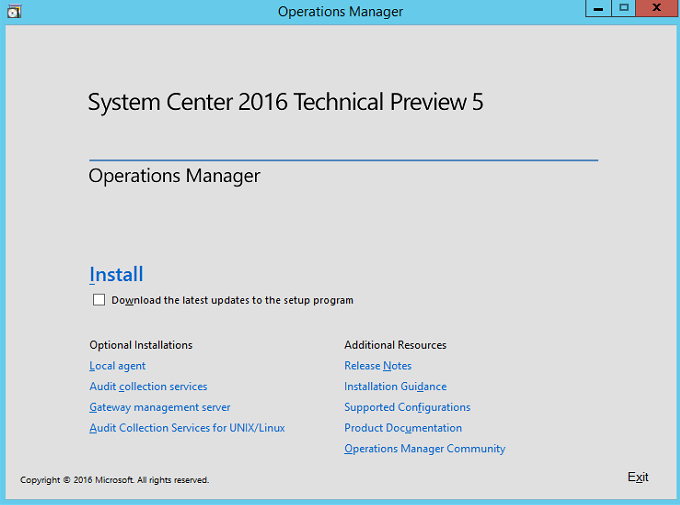 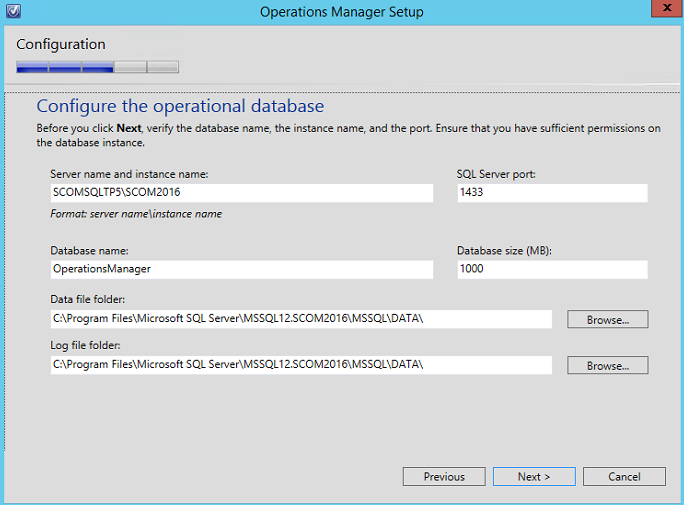 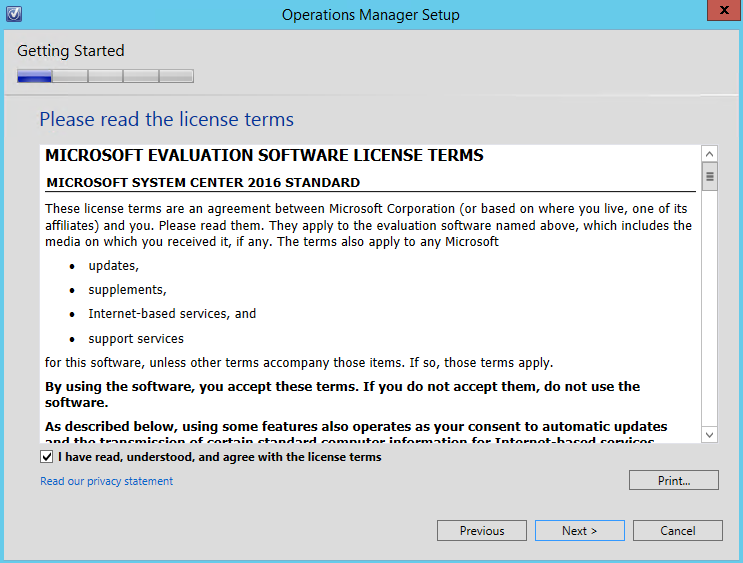 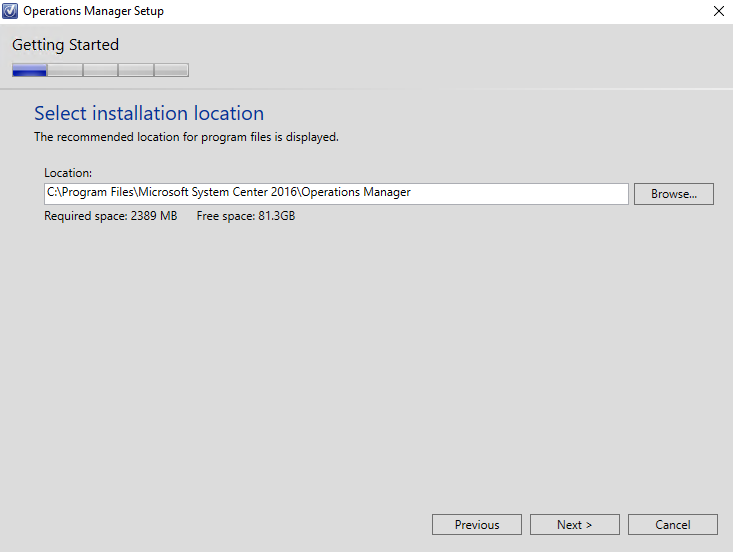 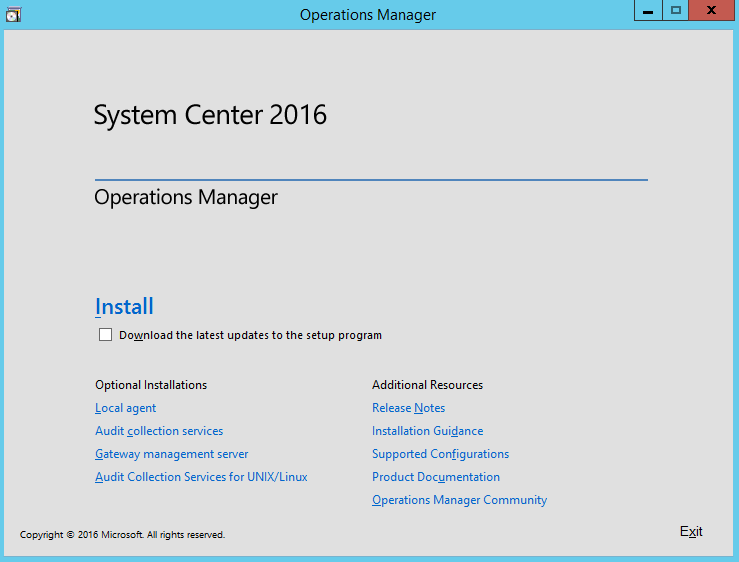 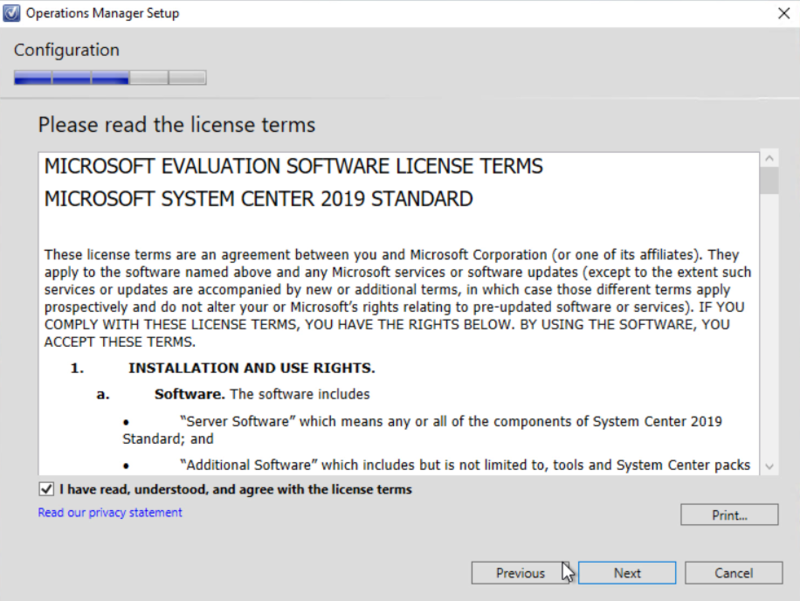 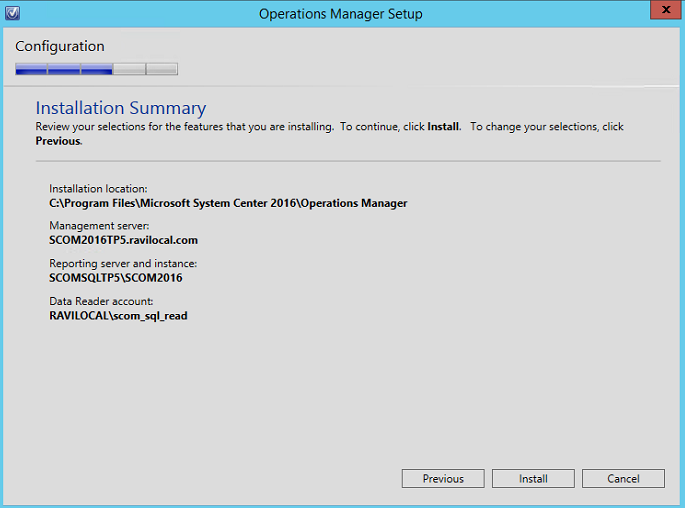 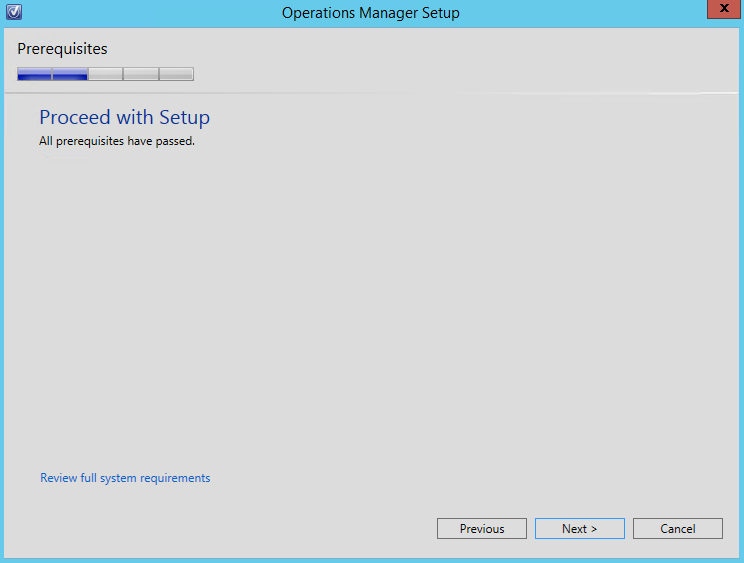 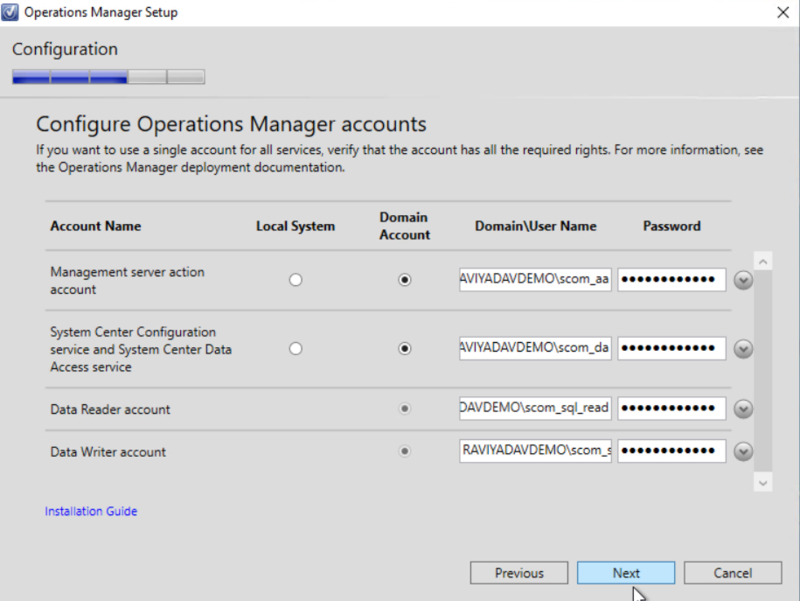 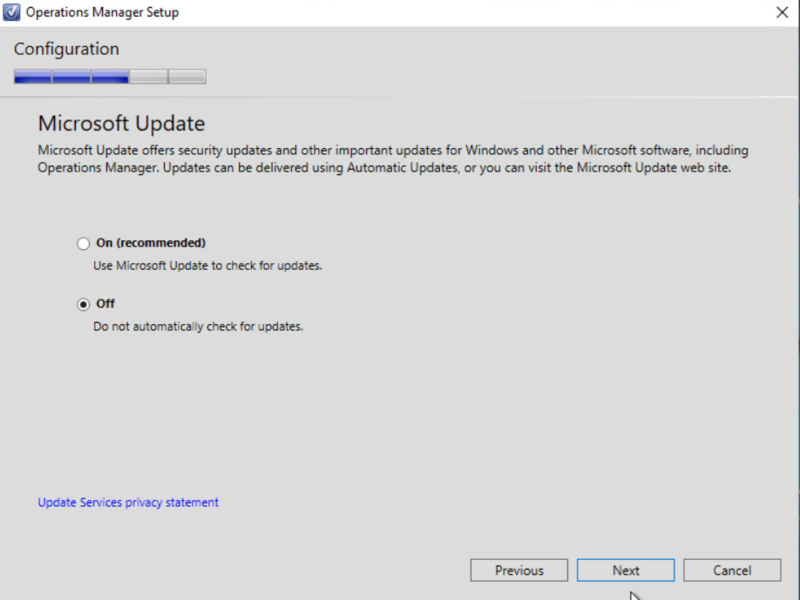 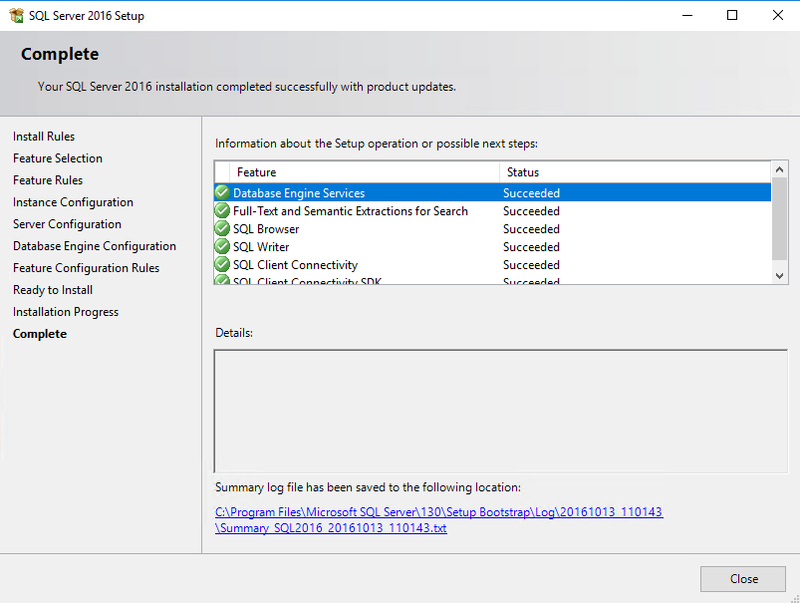 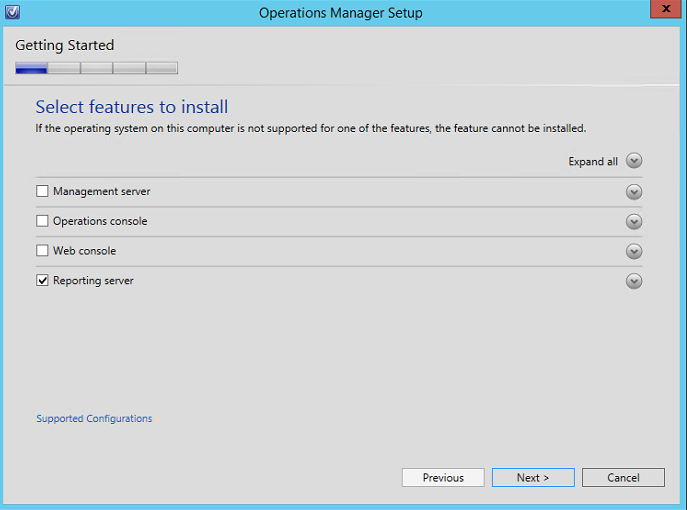 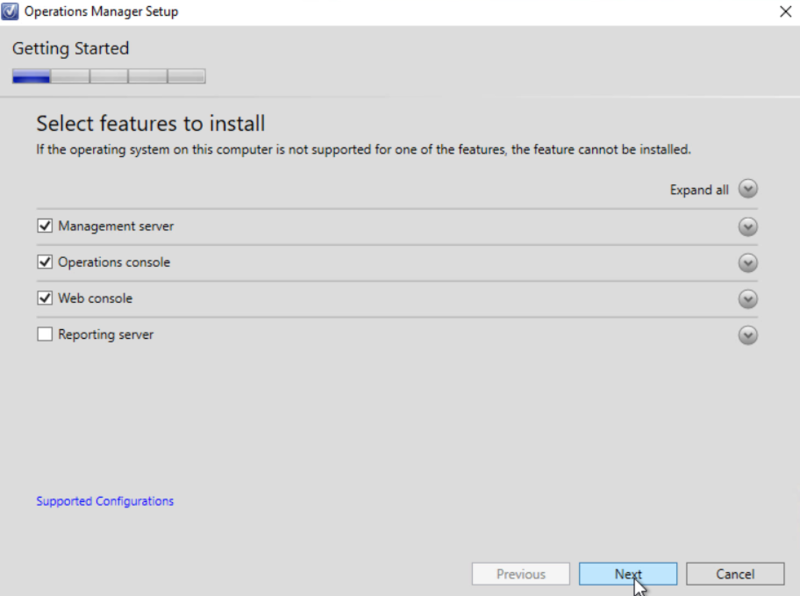 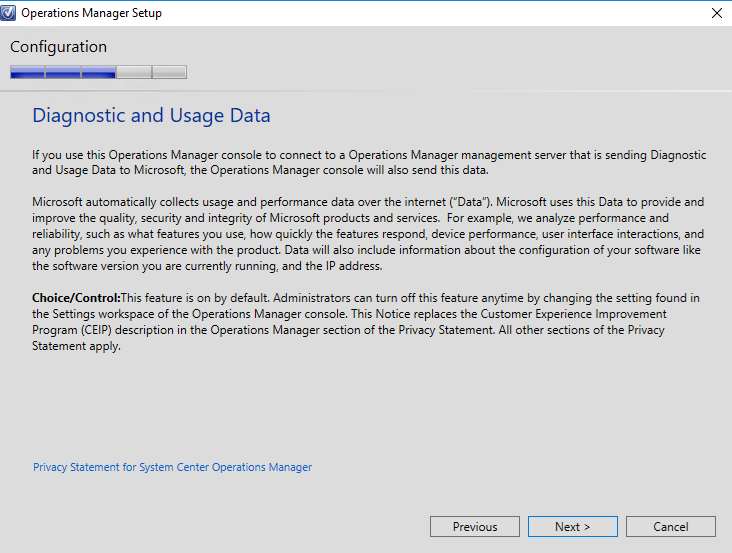 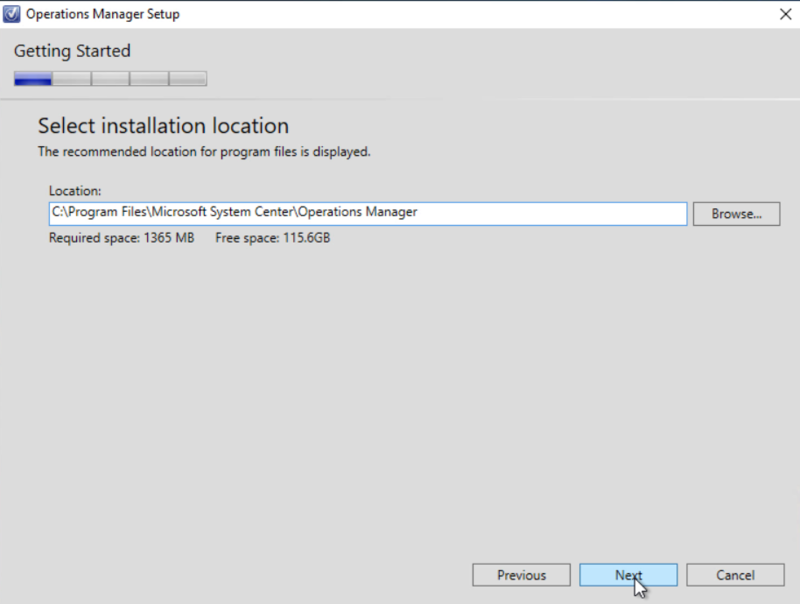 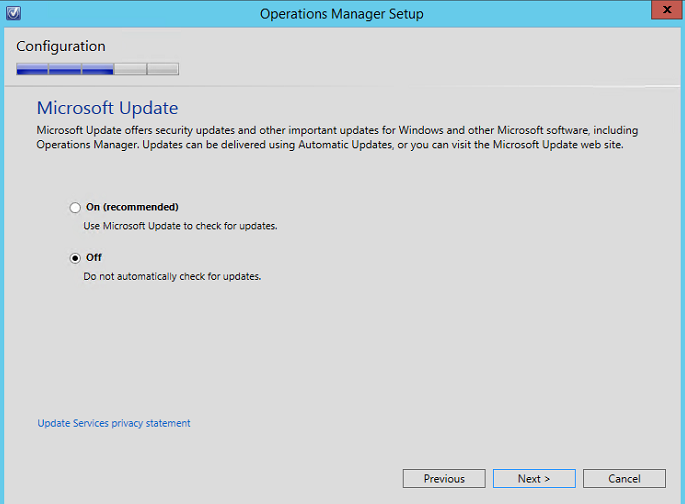 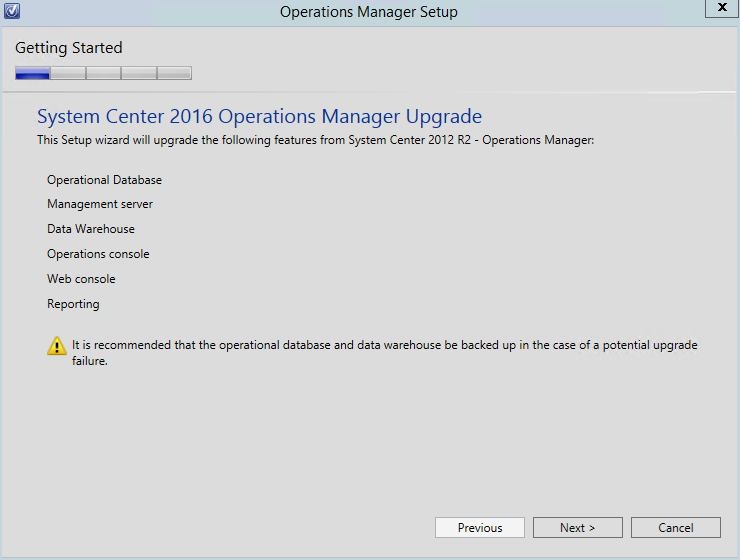 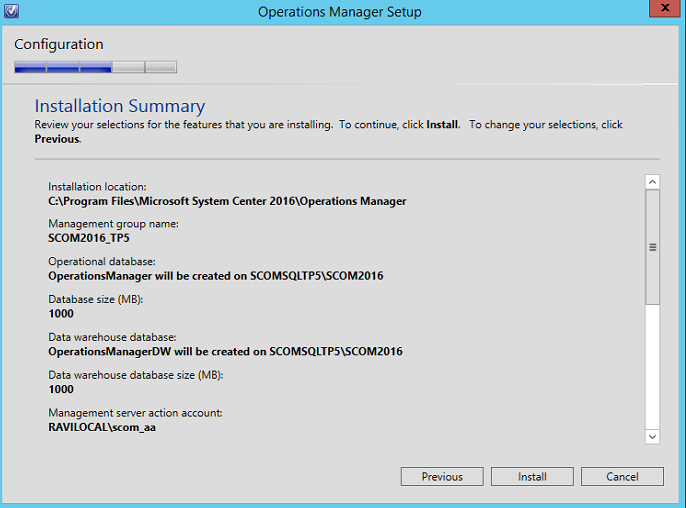 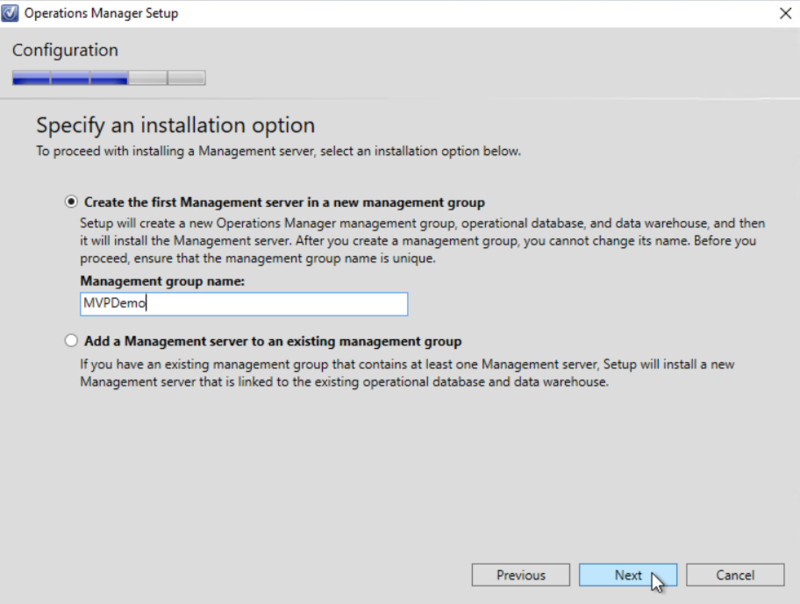 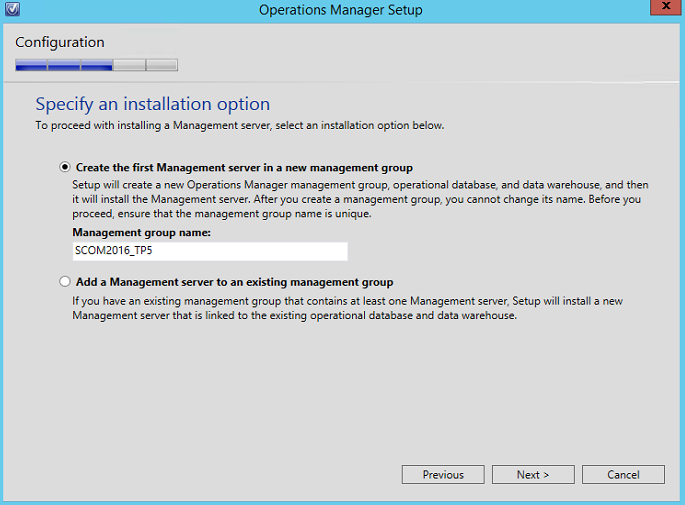 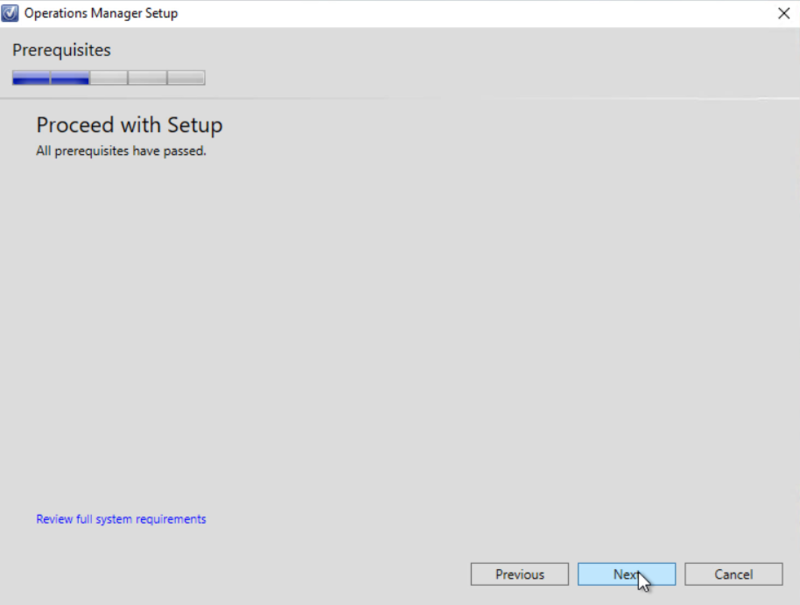 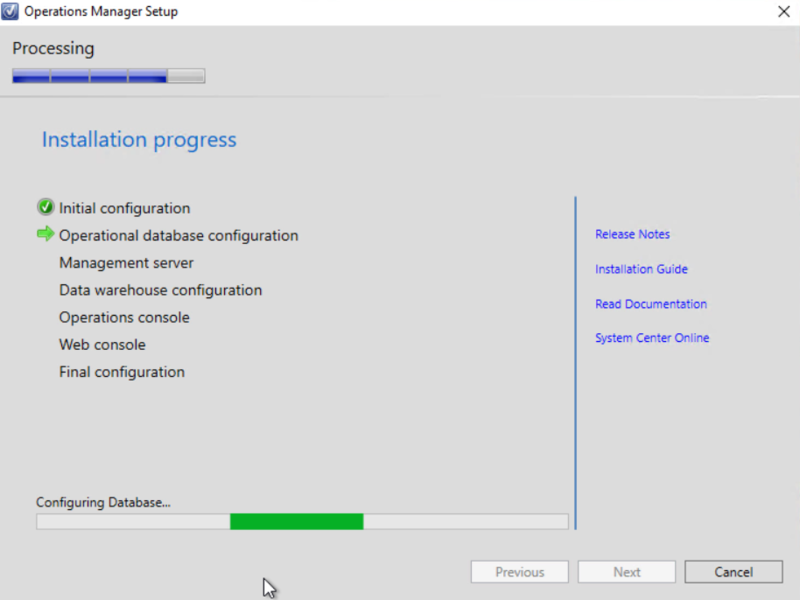 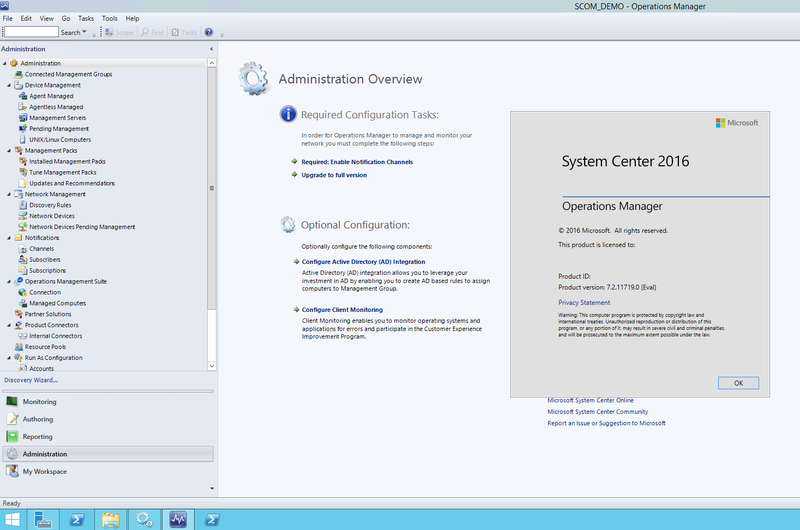 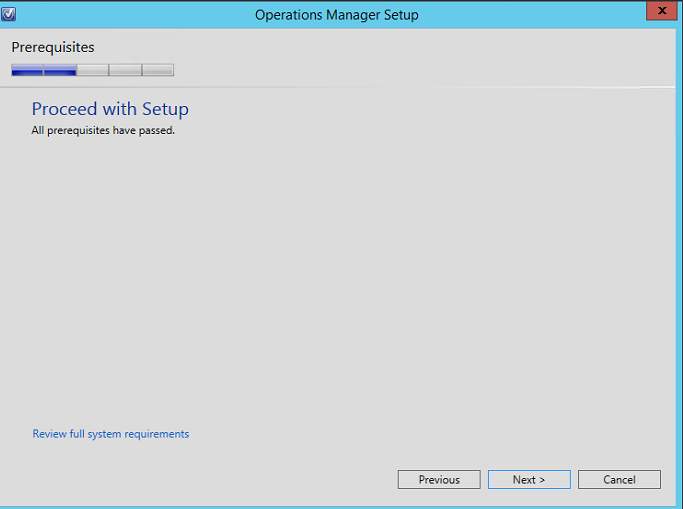 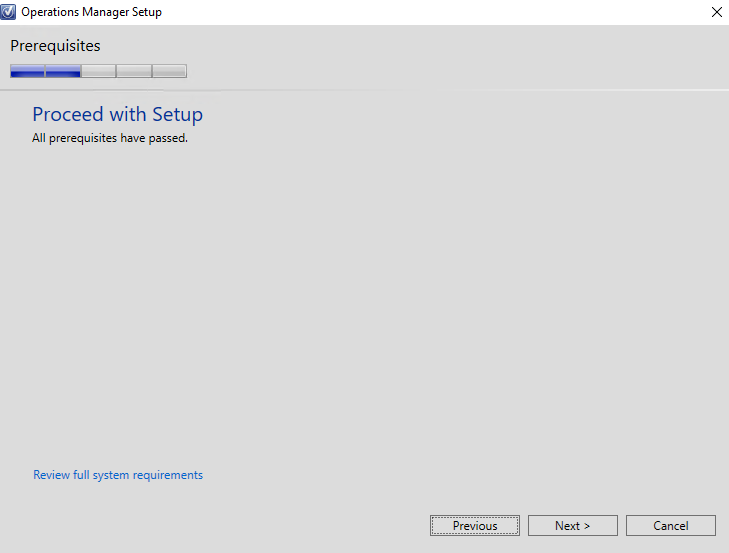 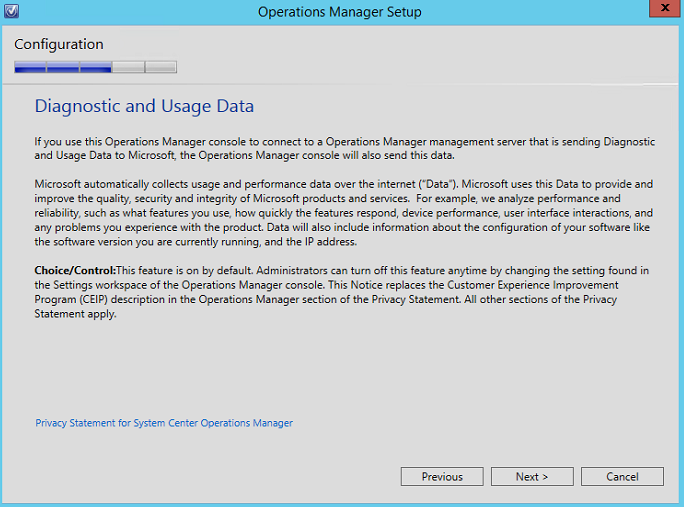 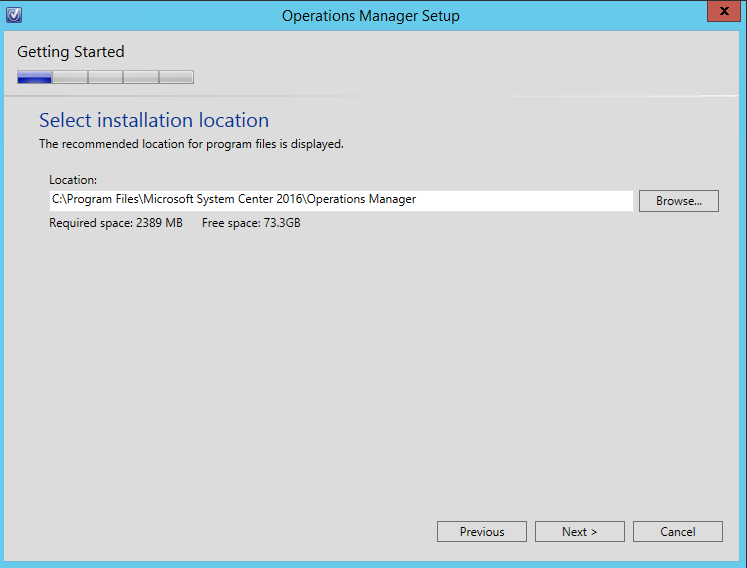 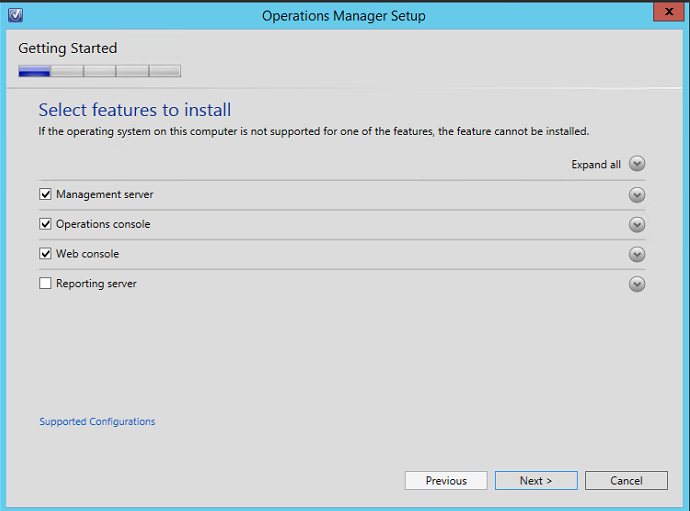 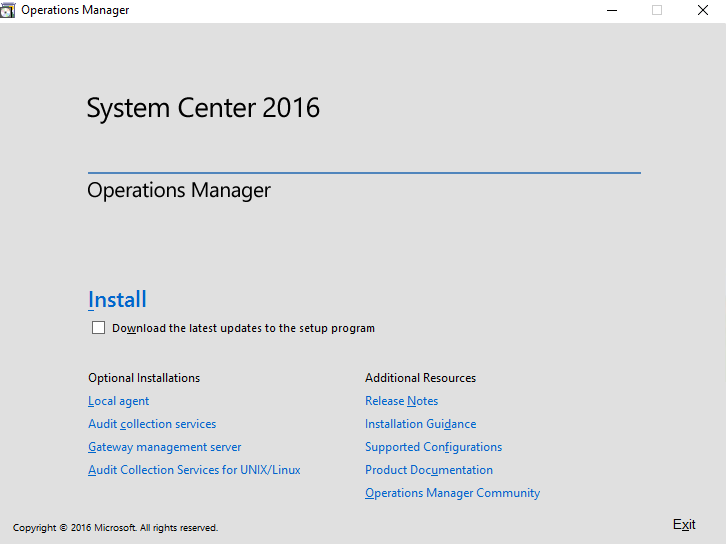 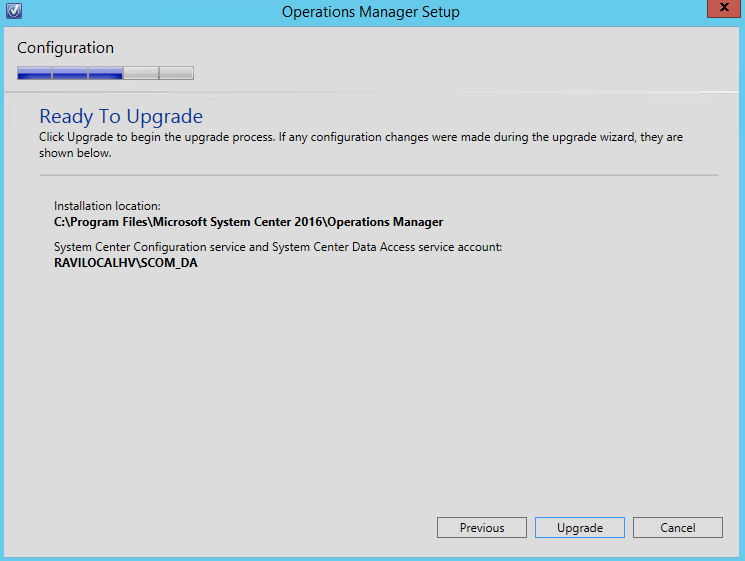 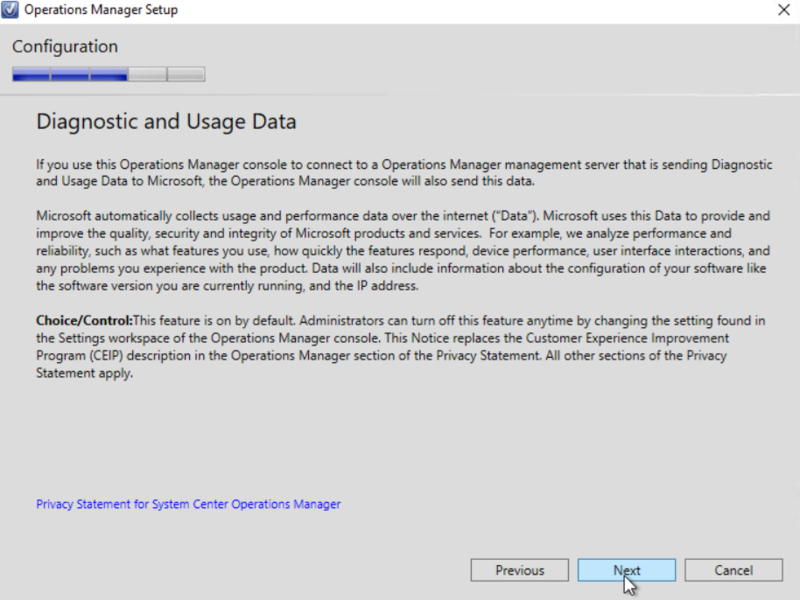 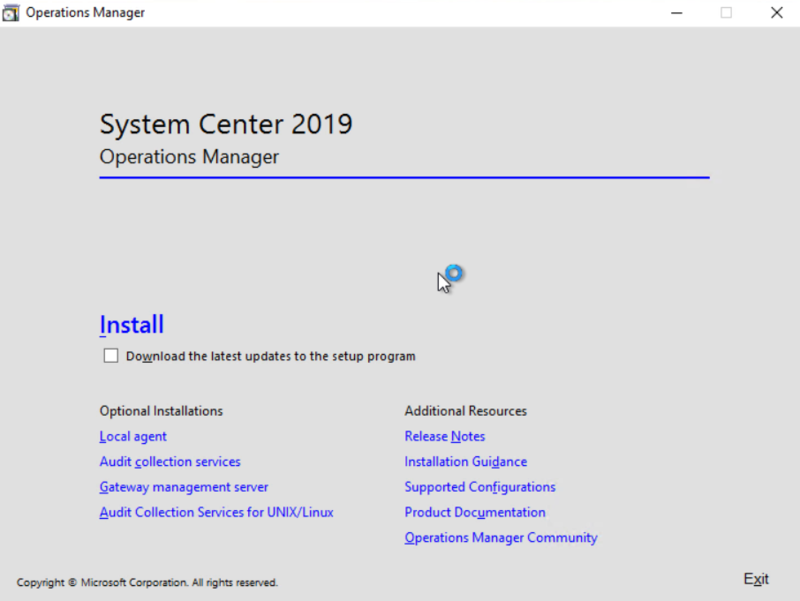 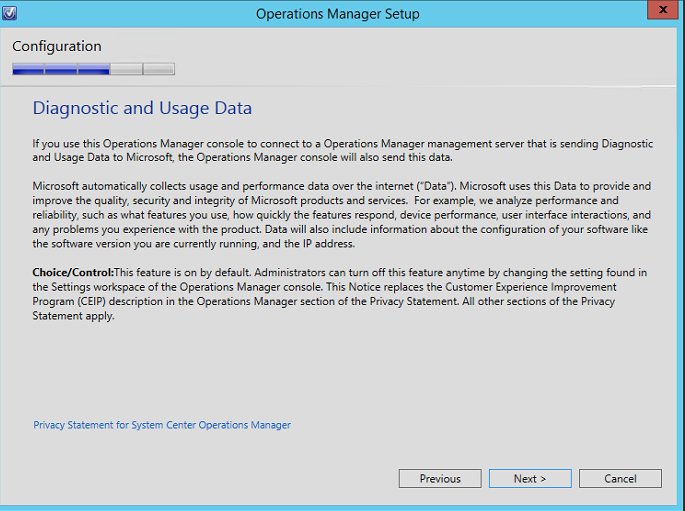 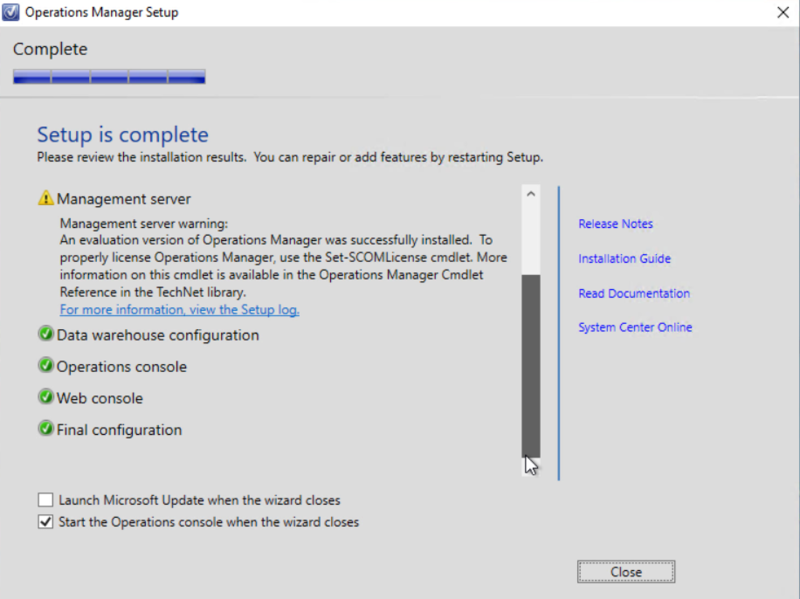 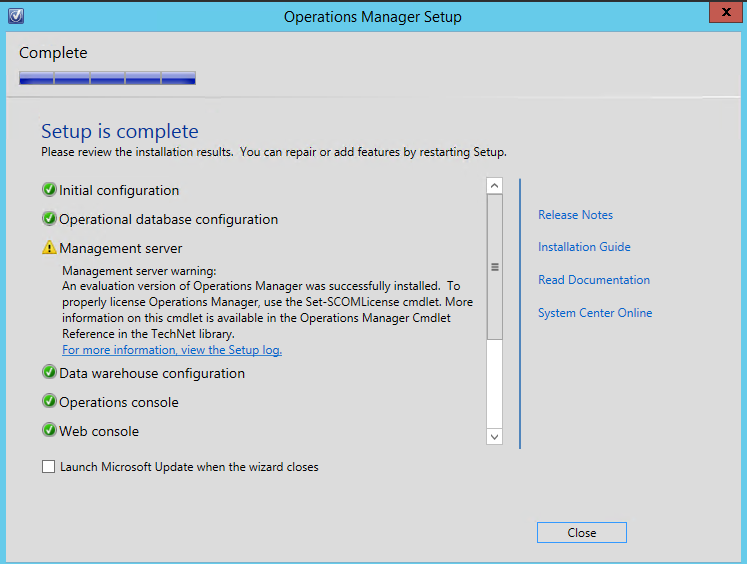 This post I will be installing System Center Operations Manager 2016 (SCOM) – Technical Preview 5 (TP5). 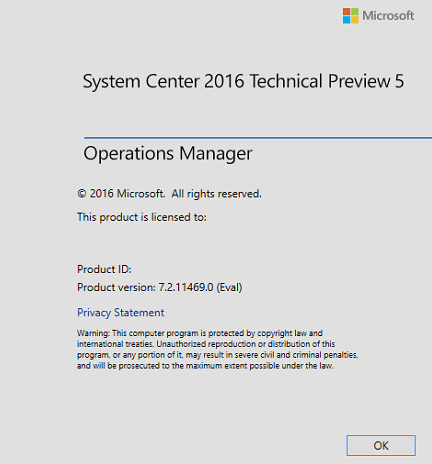 Technical Preview for both System Center 2016 and Windows Server 2016 was recently released, April 27th. 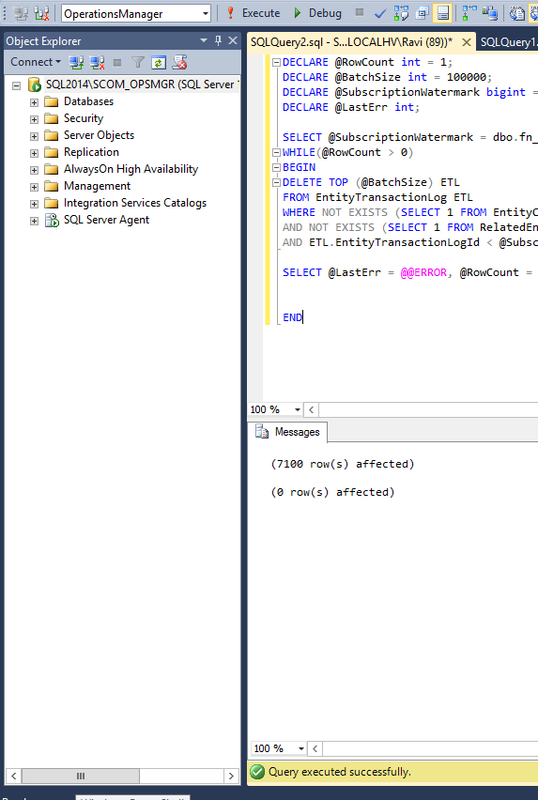 Here is some of the background information. 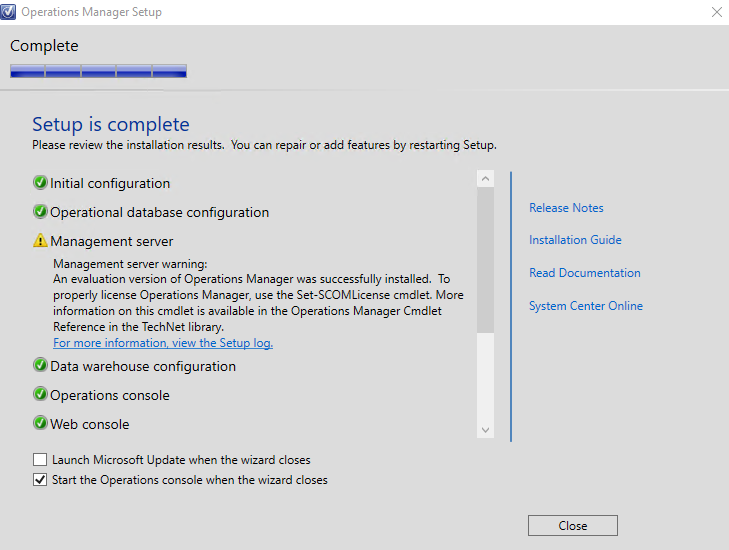 As this post will concentrate on the installation of SCOM 2016 TP5, I am going to omit the setup and configuration of the Domain Controller, Windows Server 2012R2 for both SCOM Management Server and SQL Server (Please note, I am using SQL Server 2014 SP1, both servers on Windows 2012R2). 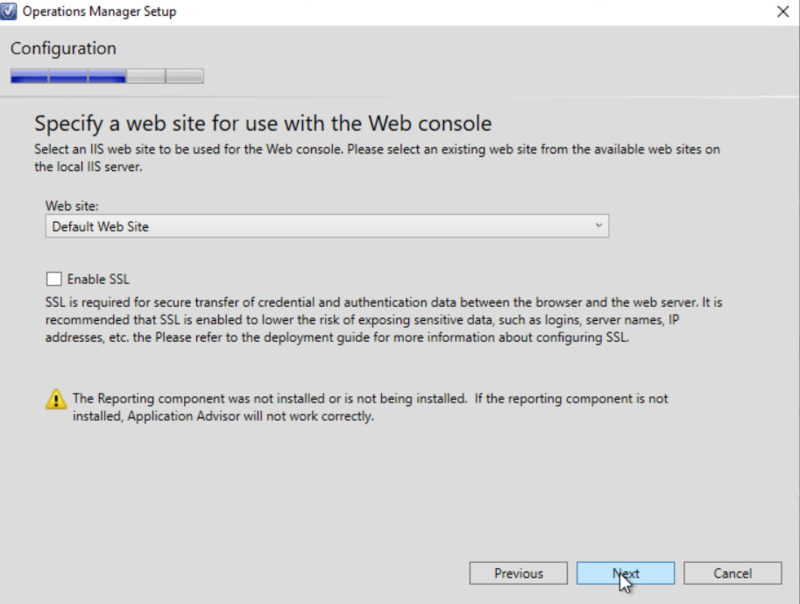 Well, looks like I will need to install the Report Viewer Controls and need to install some IIS components for the Web Console. 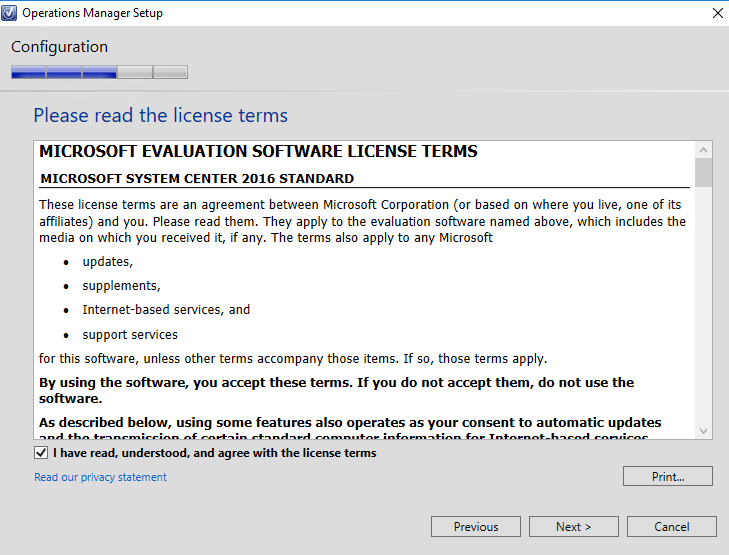 For the Reports Viewer Controls prerequisites, you can visit the following post for the instructions, HERE. 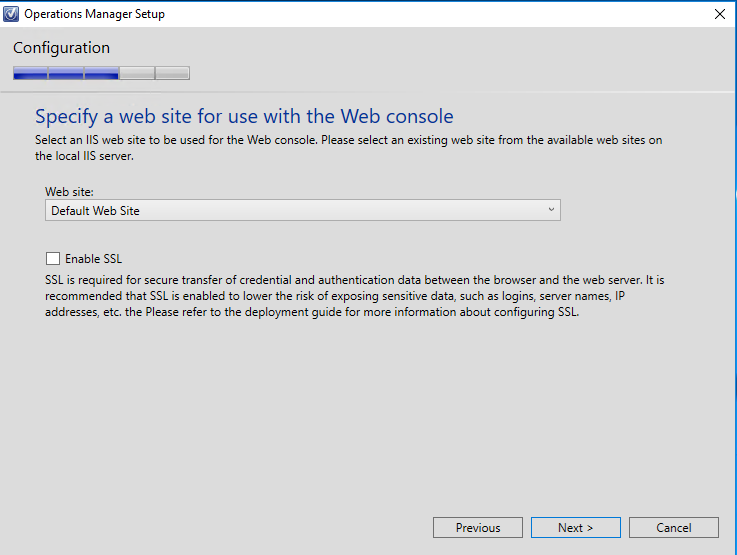 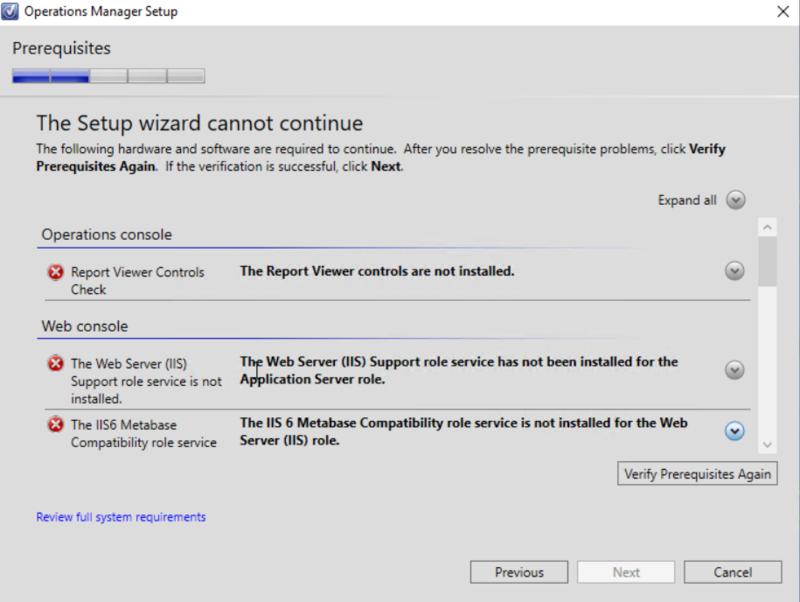 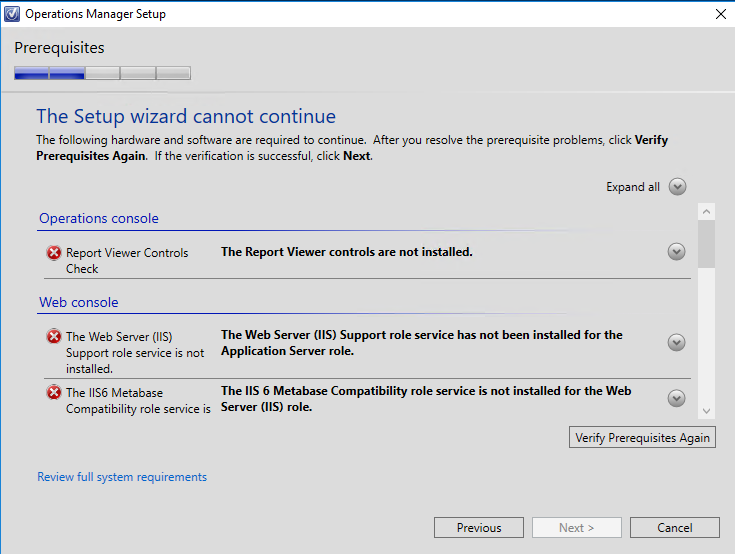 For the Web Console/IIS components prerequisites, you can visit the following post for the instructions, HERE. 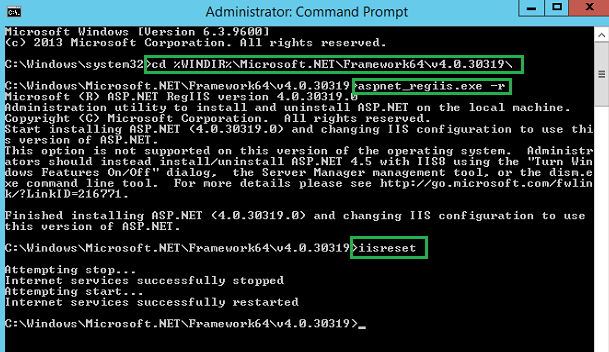 You will need to apply the following commands (unfortunately I could not execute in PowerShell, so you will need to use Command Prompt (as Administrator)). 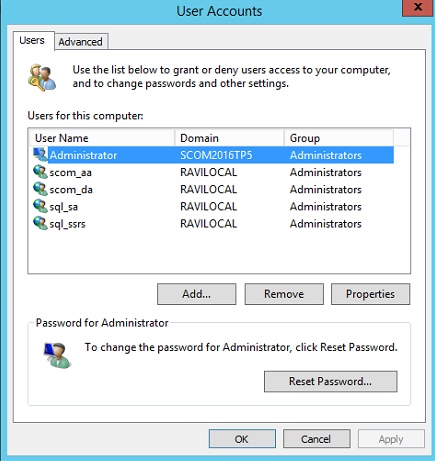 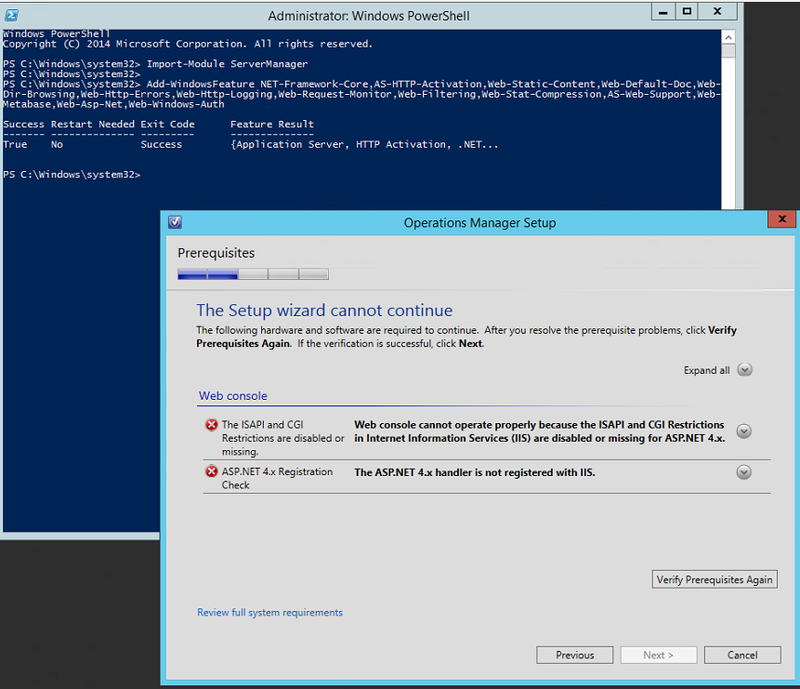 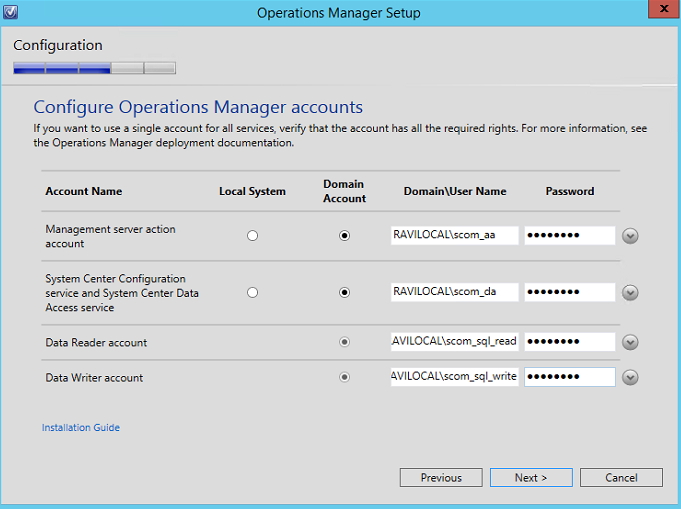 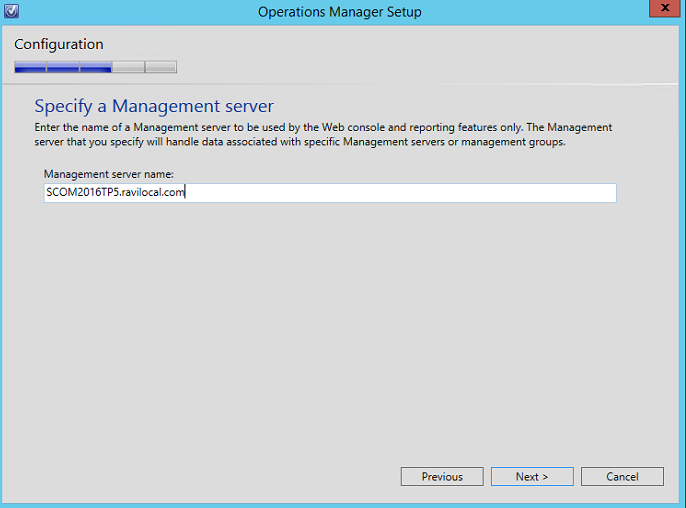 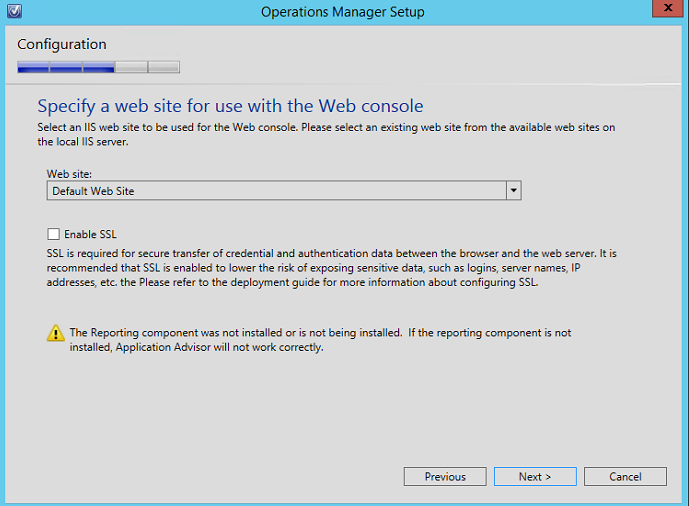 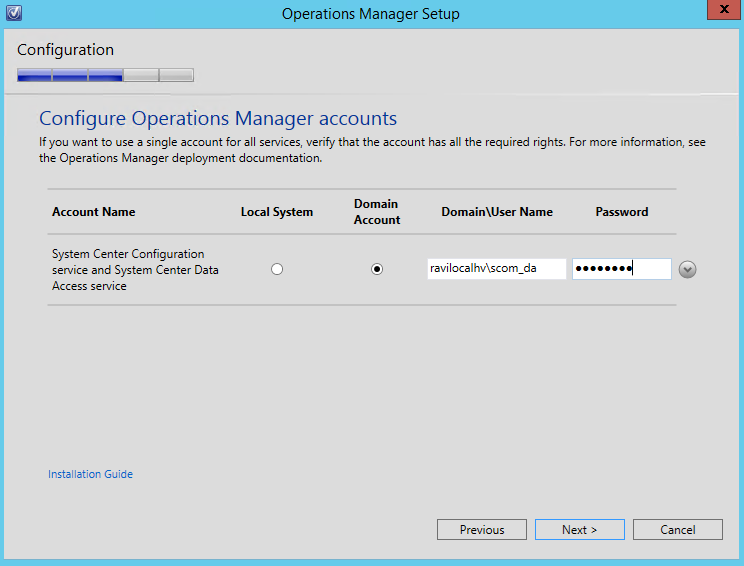 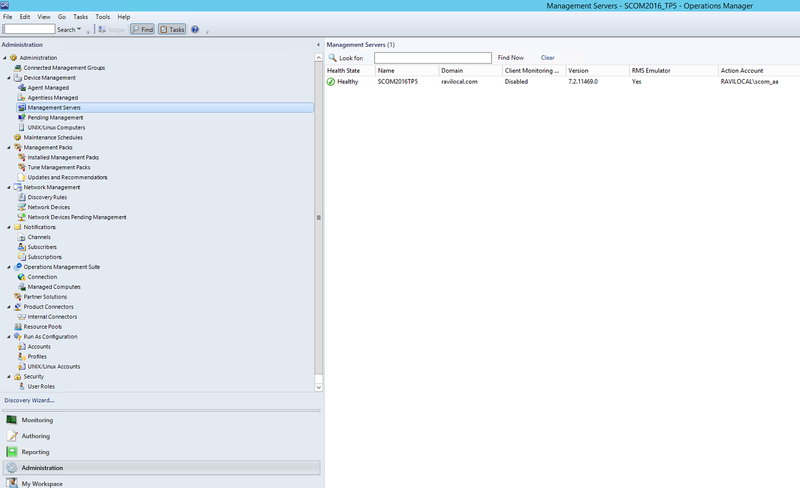 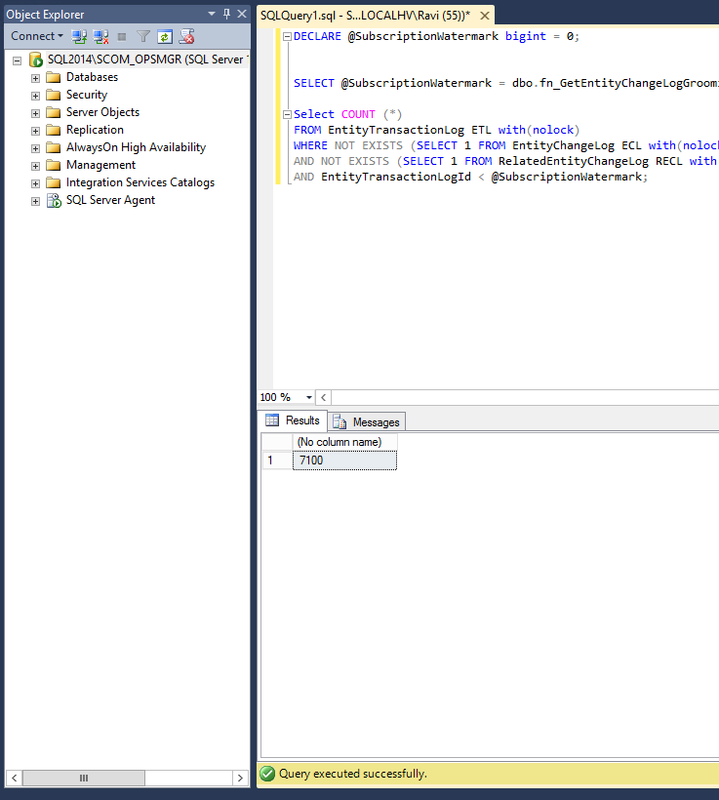 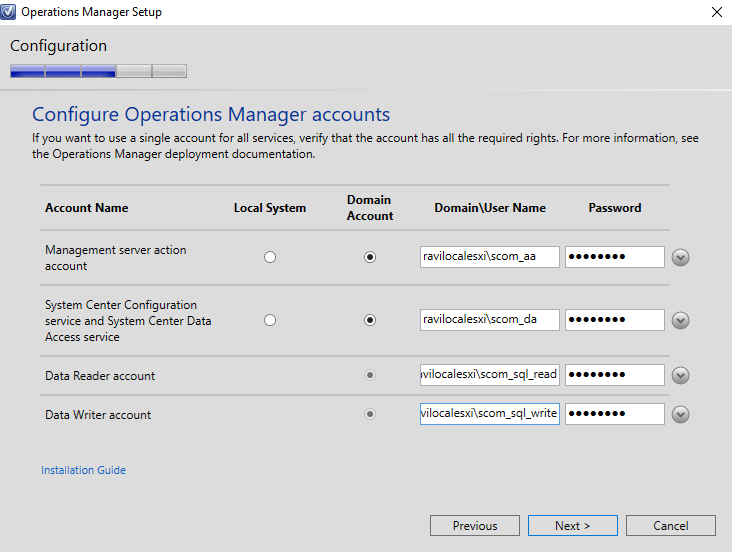 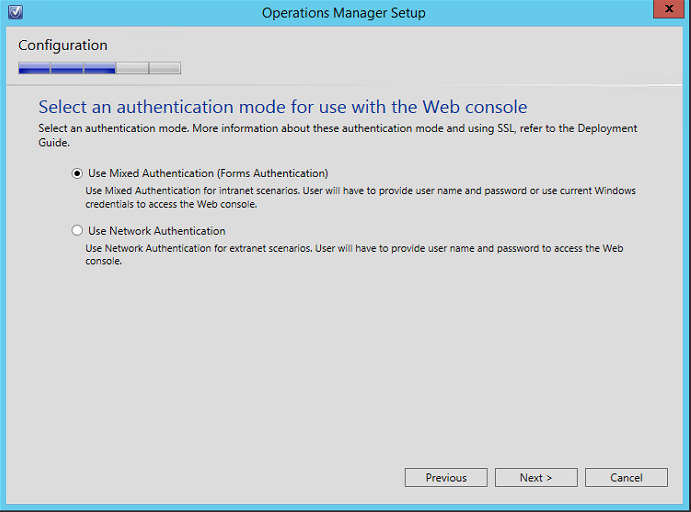 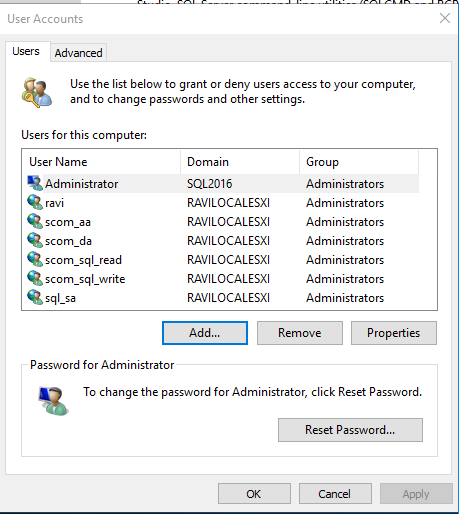 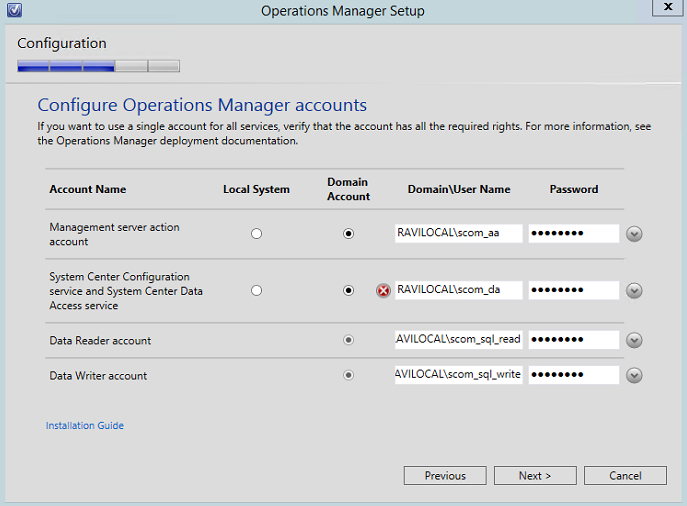 Whoops, I forgot to add the SCOM service accounts as local administrators on the SCOM Management Server…. 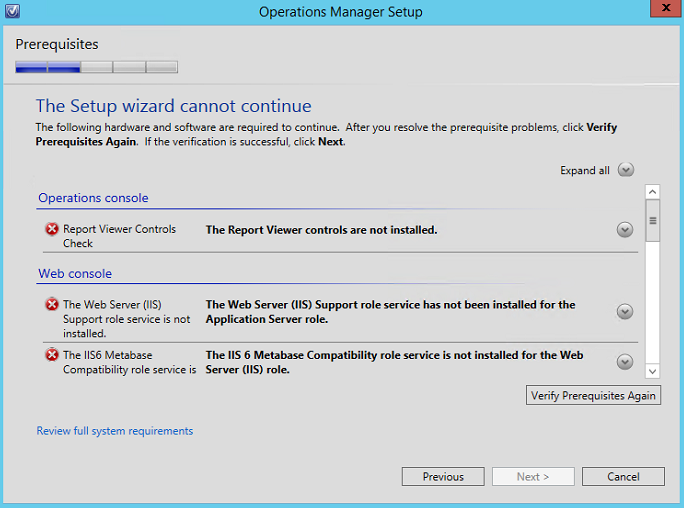 Let this run, go for a break, coffee, smoke, whatever…. 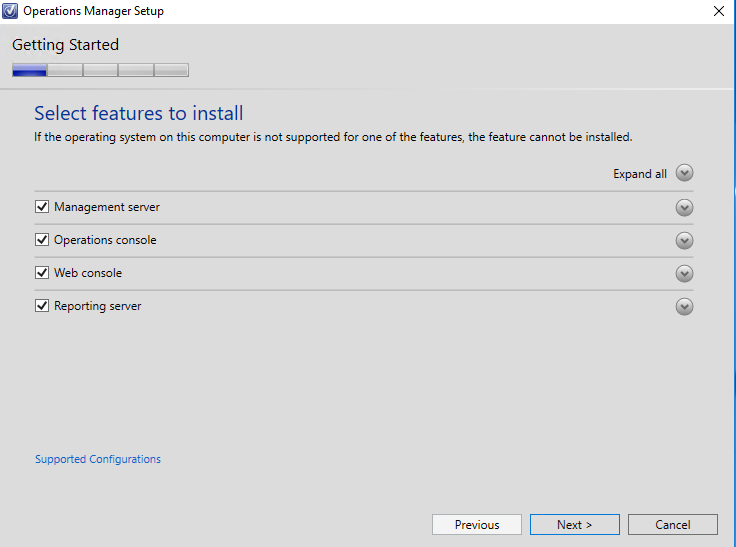 Thoughts: As you may have noticed, the install is almost identical to the 2012R2 and it appears not much has changed in terms of the install.